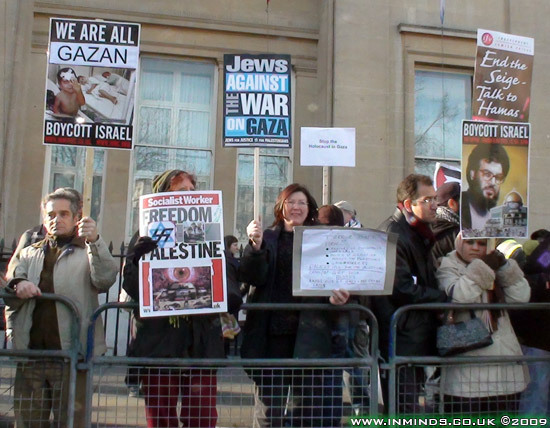 "Jews and Muslims United Against Zionism"
Whilst Israel was slaughtering children in Gaza the Board of Deputies of British Jews who claim to be "the voice of British Jewry" - in reality the voice of Israel in the UK, held a rally in support of Israel. No matter how it was dressed up, it was nothing less that the celebration of genocide. 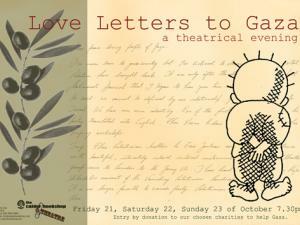 A particularly ugly and shameful event even for zionists, which perhaps explained its poor turnout. 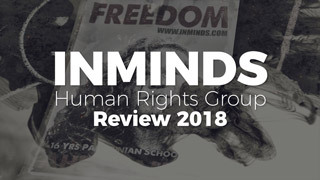 Present were MPs from the pro-Israel lobbies - Andrew Dismore (Labour Friends of Israel), and Douglas Carswell (Conservative Friends of Israel) who spoke on behalf of their masters, unbelievably Andrew Dismore said he was at the genocide celebration because he believed in human rights! 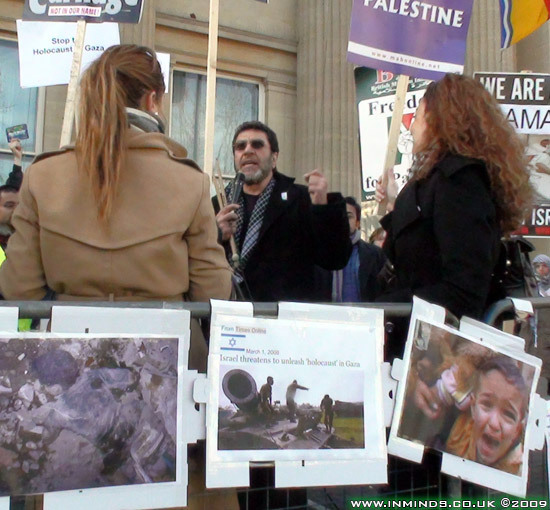 Christian zionist Tim Vincent was another speaker, he told the Jewish News: "I feel strongly that Israel's actions represent hope for the Palestinians in Gaza - especially the children"! 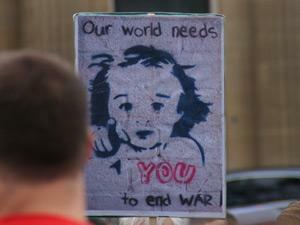 Human rights groups have reported that the Israelis have murdered at least 280 children in the attack on Gaza. A brave young Jewish man, Dovid Von Neumann, interrupted Chief Rabbi Sacks pro-Israel rant with a Jewish children's song, highlighting how Israel has perverted a line from a Jewish children's poem about a spinning top which were traditionally cast in lead to name their military operation "Cast Lead" which murders Palestinian children. 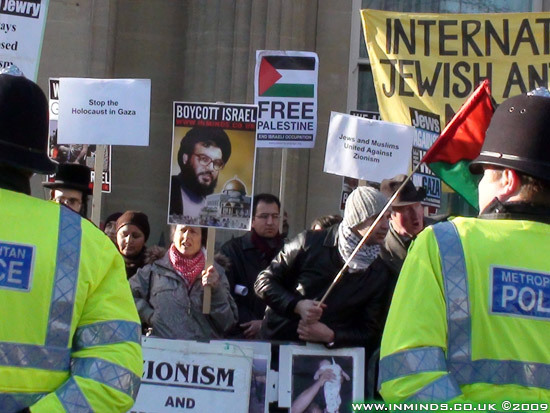 The zionists pushed him into the frozen fountain and stoned him with lumps of ice. 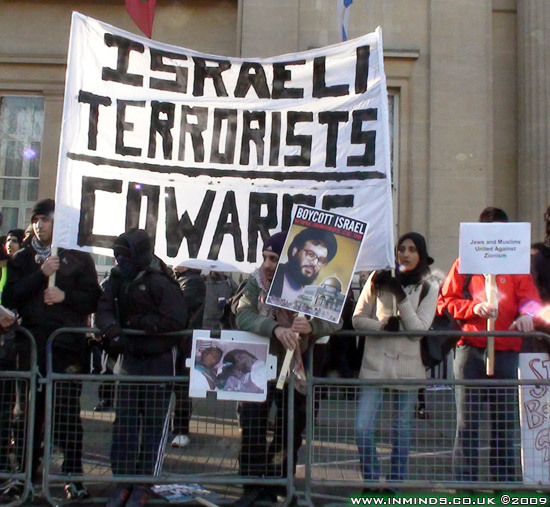 The brave soul even from within the ice-cold waters of the fountain continued reciting his poem until the thugs from the CST, which has been described as a private zionist militia, smashed his megaphone and dragged him out of the fountain throwing him on to the pavement. The police rather than arrest those that assaulted him, instead incredulously detained him for several hours before they were forced to release him without charge. 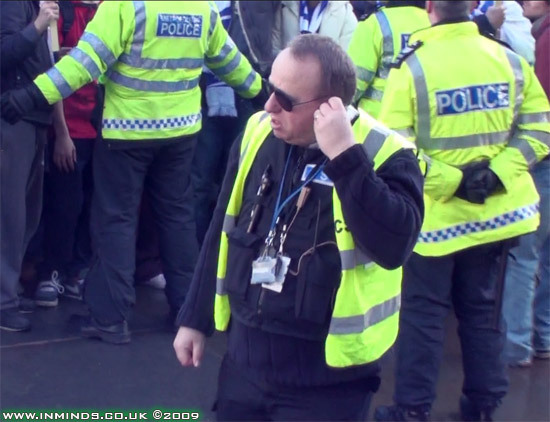 CST are given free reign to cross the police line and walk behind the police line separating the two demos, on the other side the stewards and even the legal observers were not permitted to cross the police line and had to stay on their side of the police line with threats of arrest if they approached the line! 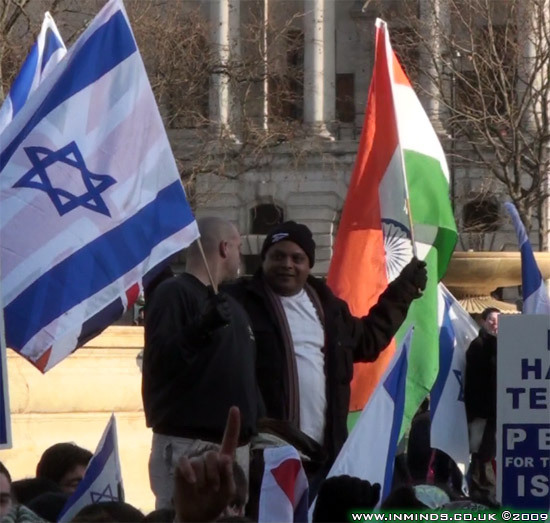 The strangest site in the zionist demo was a lone Indian man holding the Indian flag in one hand and an Israeli flag in the other, surrounded by Israeli flags. The fool reminded us of the Sikh man who appeared in the BNP commercials spouting islamophobic diatribes. 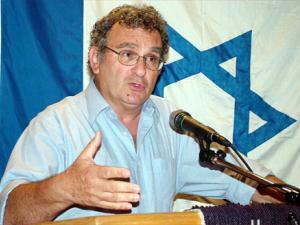 Indian zionist or gullible fool? 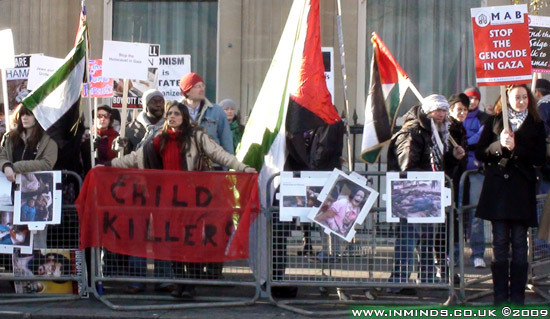 This celebration of genocide couldn't go unchallenged, the Islamic Human Rights Commission (www.ihrc.org) organised a counter-demo to oppose it. 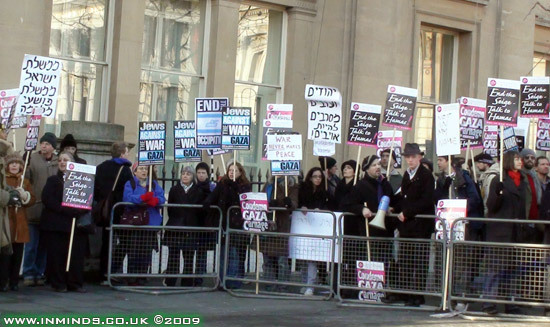 The diversity of the turnout was a true indication of the opposition to zionism. 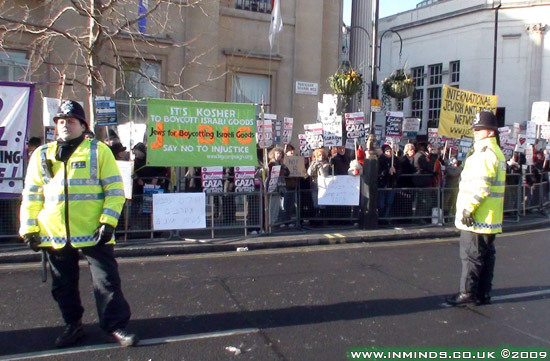 There were Muslims, Christians, socialists, and other pro-justice groups. 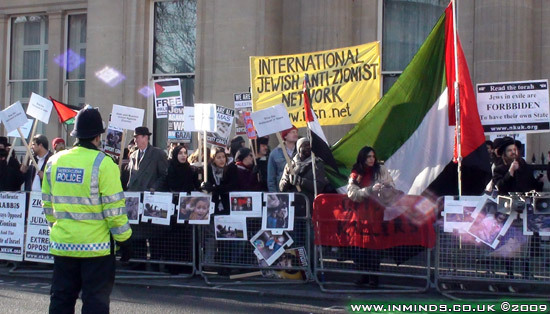 The largest group opposing the zionist rally, however, were Jews. 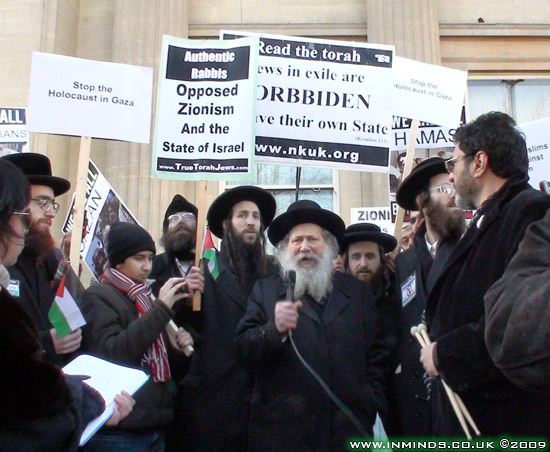 These included the rabbis from the Neturei Karta (www.nkuk.org), the International Jewish Anti-Zionist Network (www.ijsn.net), Independent Jewish Voices, Jews for Boycotting Israeli Goods, and Jews for Justice for Palestinians. 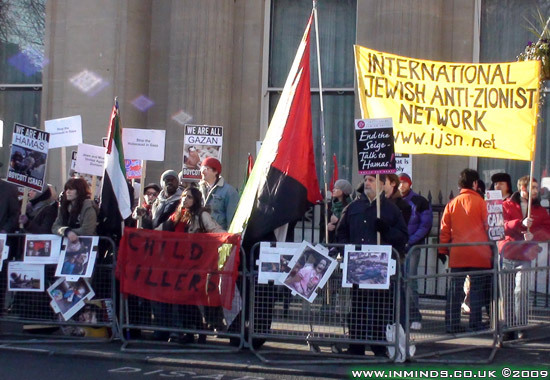 The police had split the counter-demo in to two pens, but soon people broke out of their pens and there was good unity between the different groups with co-ordinated chanting "We are all Palestinians, we will not be divided - No Gaza Ghetto, No Gaza Ghetto", and holding each others placards, etc. Sometimes home made placards convey the message best: "Israel get your bloody hands out of Gaza"
J-BIG "Its kosher to boycott Israeli goods"
Photo of resistance hero Syed Nassrallah with caption "Boycott Israel"
"Judaism and zionism are two different things, completely contradicting each other.. we want to show the world that they [zionists] can't represent the Jewish people. 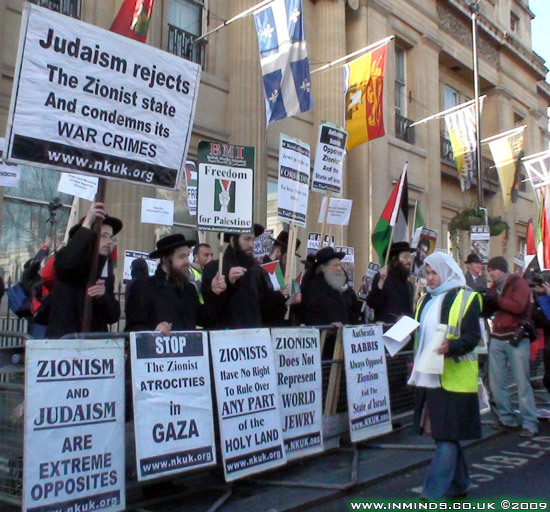 Judaism is a religious concept whilst zionism is a nationalistic concept - nothing to do with each other. 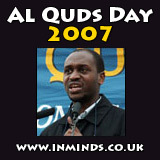 They [Israel] take our name and misrepresent us, they claim they are doing in the benefit of the Jews.. 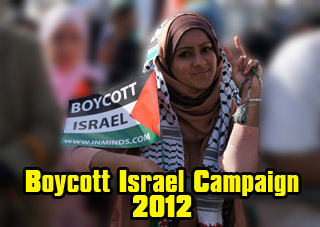 They are the biggest enemies of the Jews! The Jews and the Palestinians, and Arabs all around the world used to live in peace with each other, its only since the inception of zionism all the conflict started. So when we want to look who's aggressing and whose defending themselves we have to look at the root of the thing, from the beginning. 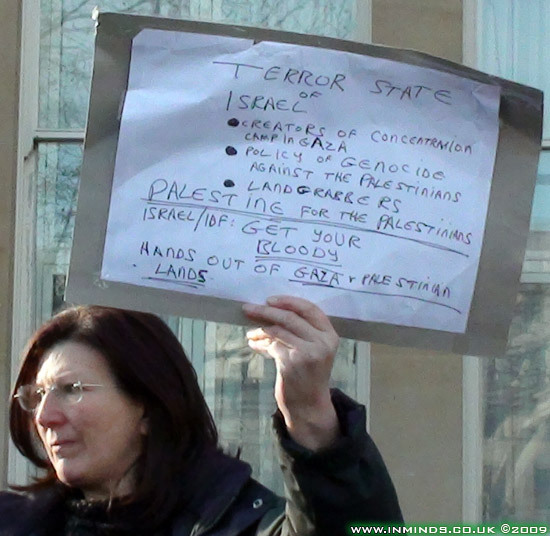 They [zionists] came and occupied the country [Palestine] - they had no right to. 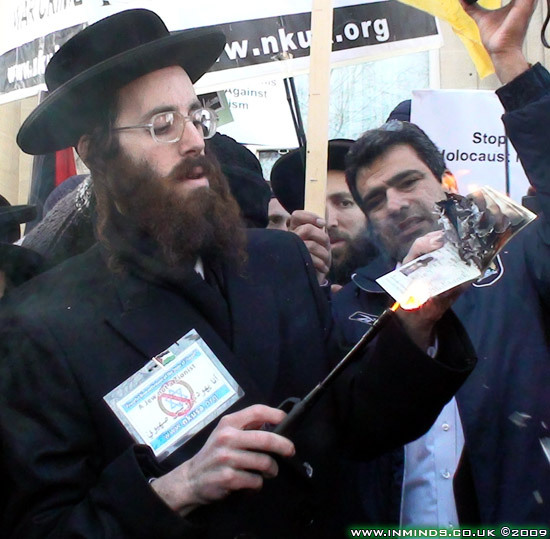 That's basically how the conflict started.."
Another rabbi from the Neturei Karta, Rabbi Avraham Greenberg, then gave a short speech in Yiddish before burning his Israeli passport in protest at the slaughter of Palestinians in Gaza. 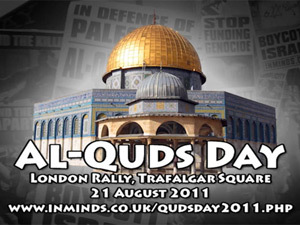 "The zionists destroyed the good harmony that we had together with Muslims. We used to live in harmony and peace with the Muslims all oveer the world, even today Jews live in Iran, in Algeria, in Tunisia, in Yemen peacefully. 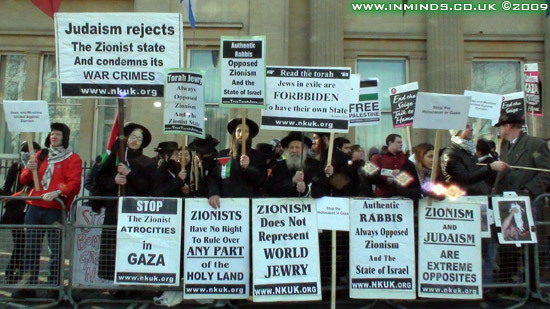 The only problem the Jews have is in the state of Israel. 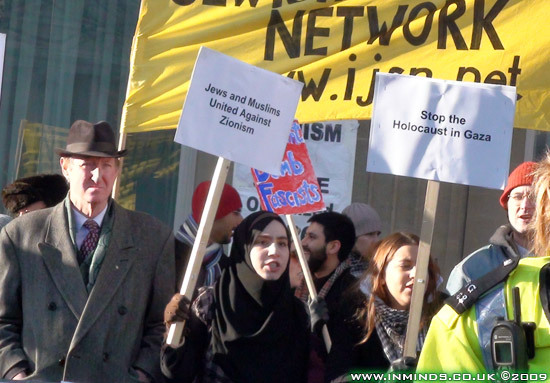 Zionists proclaim they want to make a safe haven for Jews. The most dangerous place for Jews today is in the state of Israel. 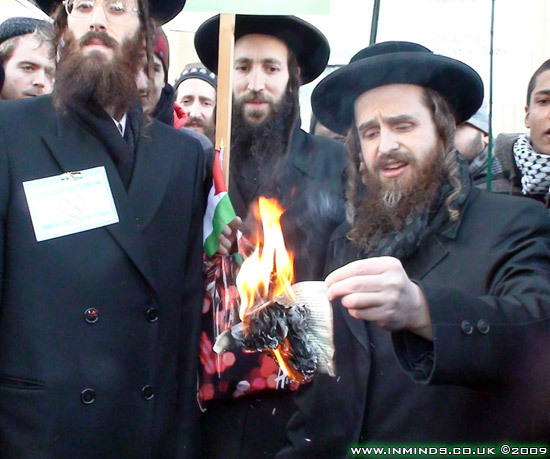 Jews can live much better, much safer, in all the Muslim counties - like Morocco, like Iran..
Its true today we have terrorists, but the terrorists are the zionists not the Muslims.."
After burning the passport the rabbis spit on its remains to cheers from the crowd "Judaism here to stay, Zionism no way". 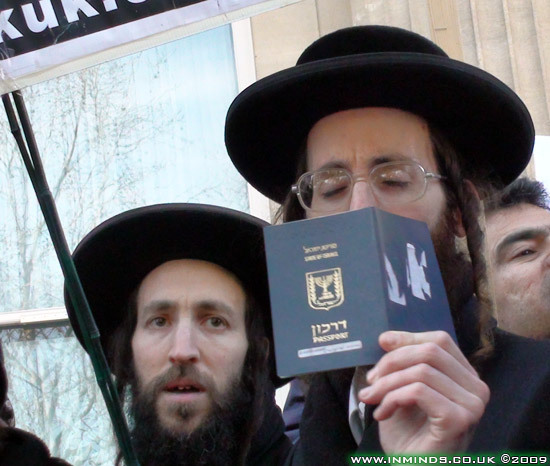 Massoud Shadjareh, the chair of the Islamic Human Rights Commission, and Rabbi Beck embraced each other and together with the crowd chanted "We are all Palestinians" in reply to Rabbi Avraham Greenberg who had wished that one day, after the demise of Israel, he may acquire a Palestinian passport. 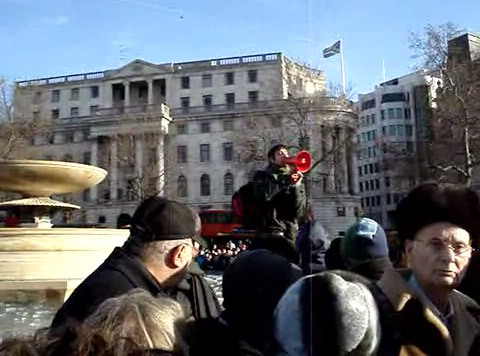 Then Rabbi Beck lead the crowds in the chant "Judaism YES, Zionism NO, the state of Israel must GO"
Born in Israel but ashamed of his zionist passport, Rabbi Avraham Greenberg burns his Israeli passport in protest at the slaughter of Palestinians in Gaza at a counter-demo organised by the Islamic Human Rights Commission opposing a zionist rally in Trafalgar Square on 11th January 2009. "If they had an ounce of integrity, an ounce of humanity, they would have understood and they wouldn't have come on a day like this when their brothers are killing innocent children! 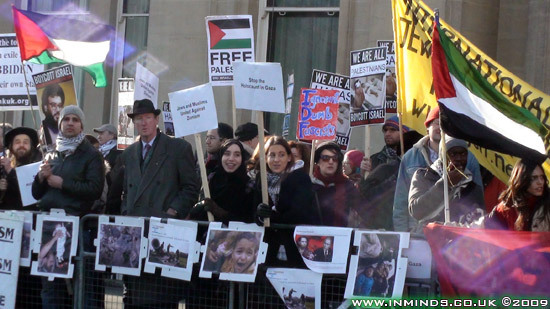 But they don't actually feel shame.. this is the disease of zionism.."
As the zionist rally finished and the zionists were leaving the square they were greeted with loud chants of "Shame on you!". 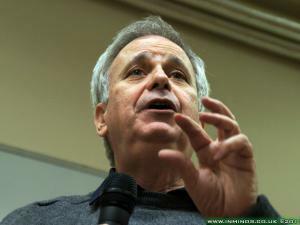 "The issue of Palestine is an issue of occupation - not negotiation! 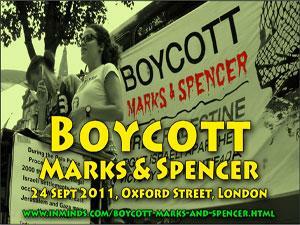 When you have occupation the need is a need for liberation"